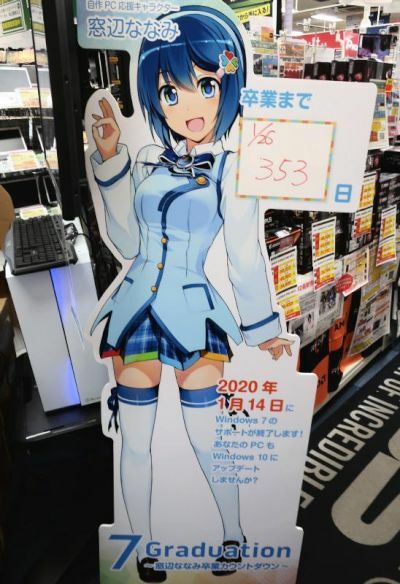 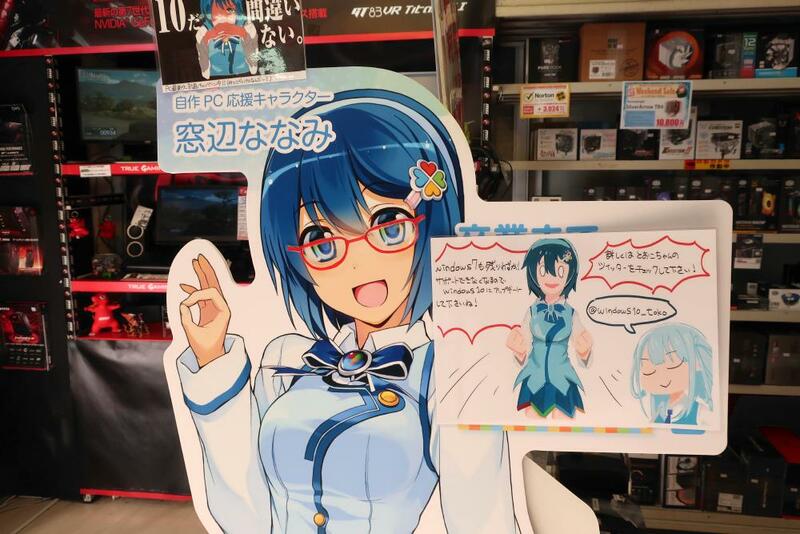 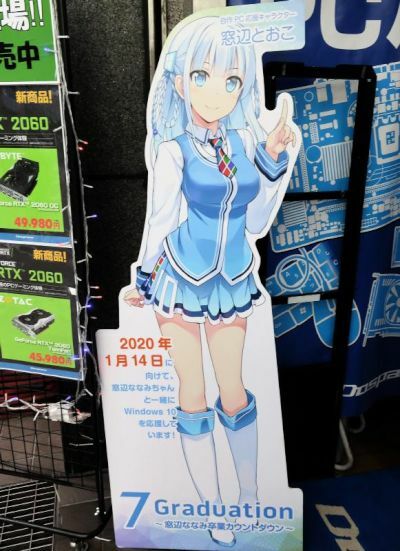 At the end of January 2019, some of the computer parts stores had pop ups of Madobe Nanami and Madobe Touko to countdown the end of Windows 7. 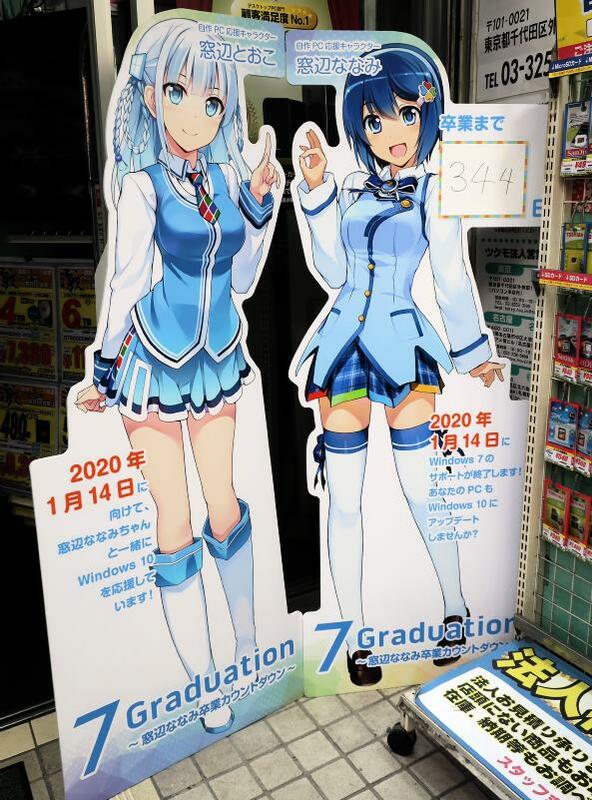 Nanami was the image character for Windows 7 and Touko was the character for Windows 10. Official support for Windows 7 will end on January 14, 2020.